The exact history of football can be hard to pinpoint as there is evidence that primitive versions were played by ancient civilisations, so tracing the history of football betting is just as challenging. 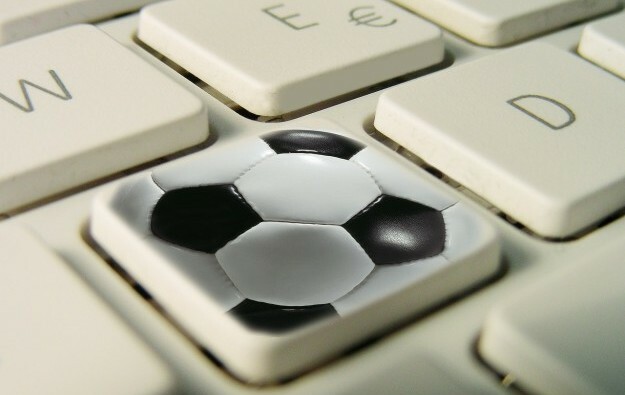 However, if there is one thing we know for definite it’s that the history of football betting has been changed dramatically in recent years thanks to the rise of online sports betting. Many punters in Australia and New Zealand are probably used to placing wagers at their local TAB outlet, and making use of an online sportsbook may seem daunting at first. However, FairBetQuery.com is here to simplify to entire process. We offer advice on everything from choosing an online sportsbook, to understanding online betting terms, and finding the best odds available. Football betting was largely unregulated until about the mid-1970s, and there is evidence of illegal football betting as early as the 1920s. What is interesting to note is that sports betting was illegal in Australia for most of the 19th and early 20th centuries and there was a widely-imposed ban on sports betting until the 1970s. Throughout the 1970’s laws on sports betting became more lax and TAB outlets were permitted to start accepting football wagers. However, many punters still preferred to visit unlicensed Starting Price bookies who generally accepted bigger wagers. The 1990’s finally gave rise to football betting as an exceptionally popular pastime when more territories were given permission to open TAB outlets and by the 2000s TABs and bookies were taking legal bets across almost all the states and territories in Australia. The history of football betting in New Zealand is a bit more complex as gambling was popular during the colonial period, but after the Gambling Act of 1908 was passed, the only legal form of gambling permitted was at the racetrack. This of course gave rise to the incredible popularity of betting on greyhound racing NZ and racetrack gambling remained the only legal form until the introduction of the TAB in 1951. The introduction of TAB outlets in New Zealand meant that a wider betting market could be offered, and football betting quickly became popular amongst punters. There are currently over 700 TAB outlets across New Zealand and there four main areas of gambling in the country are racing, lotto, pokies and casinos. If there is one thing that dramatically altered the history of football betting it was the rise of online sports betting in the 1990s. The first online casino opened its virtual doors in 1994 and the first online sportsbook went live in 1996. While the history of land-based gambling in Australia and New Zealand isn’t all that similar, the legality of online sports betting in both countries is almost identical. It is illegal to own and operate an online sportsbook that caters to Australians or New Zealanders in either country, but punters are permitted to enjoy online sports betting with offshore online sportsbooks. This has effectively meant that Australians and New Zealanders have access to an incredible range of betting markets as local TAB outlets will offer betting opportunities on local matches, while their online counterparts will offer every sports betting market imaginable. It’s no wonder then that 80% of Australia’s gamble! Remember, if you’re keen to get started with online sports betting then FairBetQuery.com is the place to be!